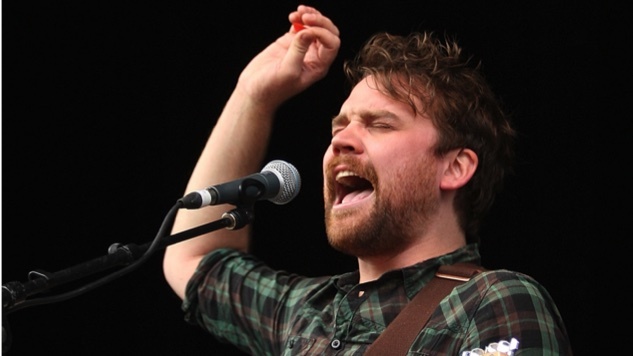 Those lyrics from “Floating in the Forth” have haunted Frightened Rabbit fans like me since it was reported earlier this week that lead singer Scott Hutchison was missing and that “particular focus [was] being given to the South Queensferry area, Forth Road Bridge and Fife.” Hutchison’s body was found by police late Thursday night at the Port Edgar marina, between the Forth Road Bridge and Queensferry Crossing near South Queensferry, in his native Scotland. And a boat in the port for me. His openness about his own depression was a help for countless fans to process their own struggles. If his lyrics would sometimes romanticize the peace beneath the roar of the Forth Road Bridge or swimming until you can’t see land, his honesty could also show listeners they weren’t alone. His sad songs weren’t just a release valve for him but for others fighting that same demon. Sometimes he would even send encouraging notes to fans dealing with depression. Hutchison found joy in performing, and the stage became a place to let go of the fears and anxiety that gripped so much of the rest of his life. It’s been 10 years since the release of Midnight Organ Fight and “Floating in the Forth”—at least a decade of keeping his demons at bay. His final tweets urged us all to hug our loved ones. Hug them. Encourage them to find the assistance they need. Depression takes too many good people. And Scott Hutchison was one of the best.